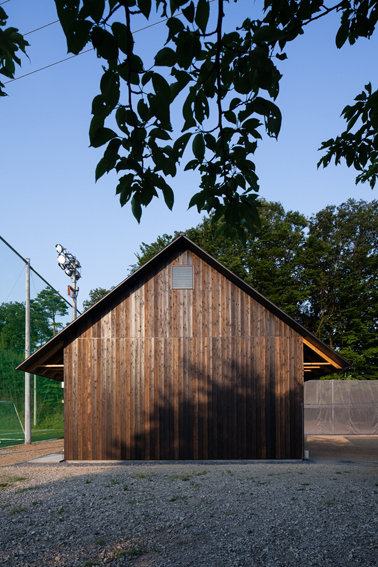 The project consists of two buildings, an archery hall and a boxing club, standing a few hundred meters apart on the grounds of Kogakuin University in west Tokyo. The University’s brief was for low-cost structures made of locally sourced timber to provide accessible and inspiring spaces for the students. 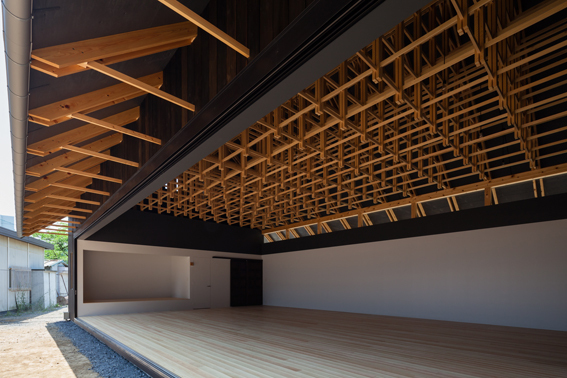 By chance, both facilities called for a column-free space of 7.2m by 10.8m, a size that is comparable to a sacred hall in a traditional Japanese temple. 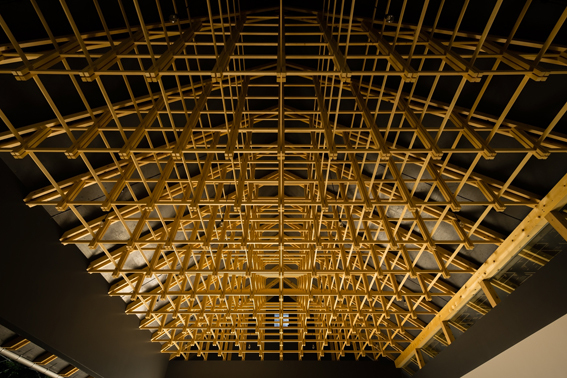 In order to achieve this span, without columns and using low-cost methods of timber construction, it was necessary to come up with an innovative timber solution. 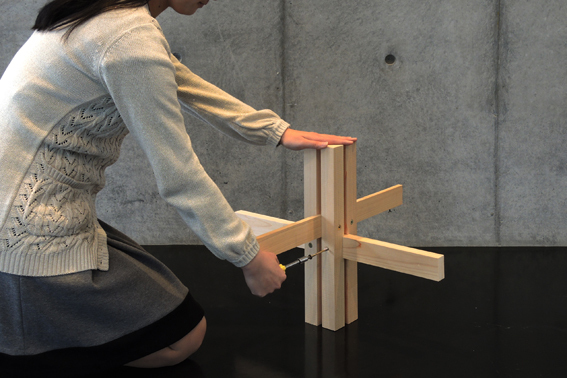 We began the project by investigating a number of structural forms that would be appropriate for each sport. 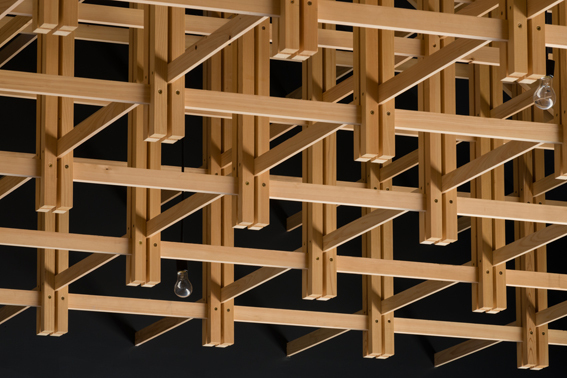 Through collaborative exploration with timber experts, from researchers, manufacturers to suppliers, we derived at timber materials that are not commonly associated with structural or architectural usage. 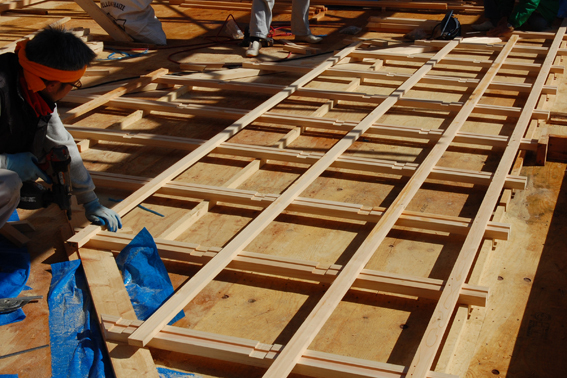 Small timber sections, normally reserved for furniture making, were chosen for the archery hall, and timber members deemed defected because of insect damage, for the boxing club. 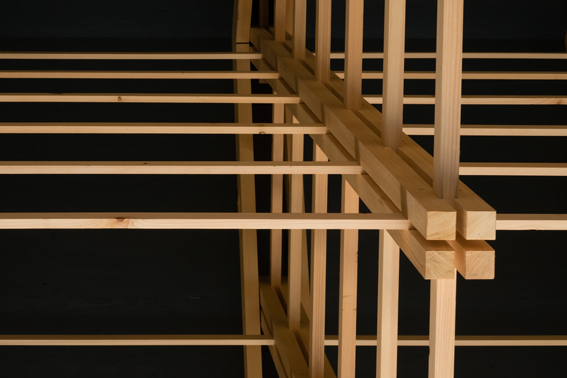 We have salvaged the purity of traditional Japanese timber composition, simply made up of horizontals and verticals, which has been somewhat disregarded ever since the advent of modernism in Japan. 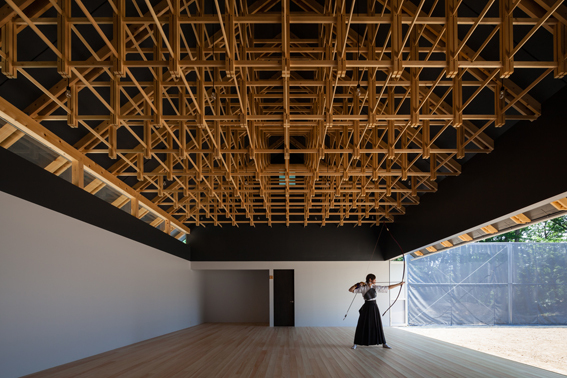 Delicate lattice frame composed of slender ties beams and posts for the archery hall, and a bolder, stepped frame, was employed for the boxing club. 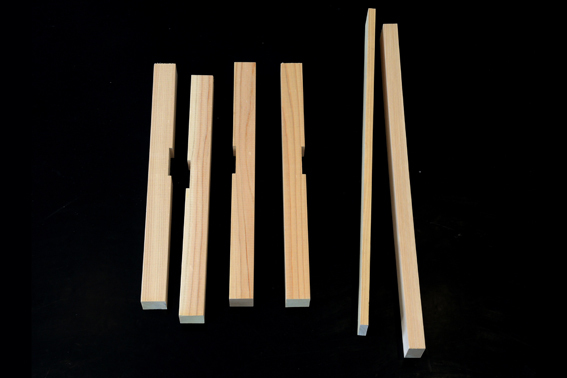 Here, timber, a historical material, has been reanalysed and transformed into a new building material. 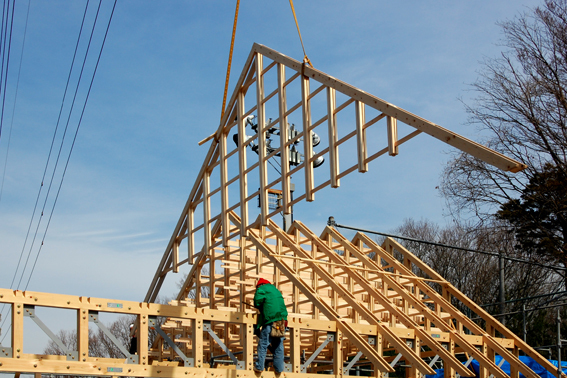 The two structures have been constructed employing a simple, lo-tech method of bolt-and-nut assembly. 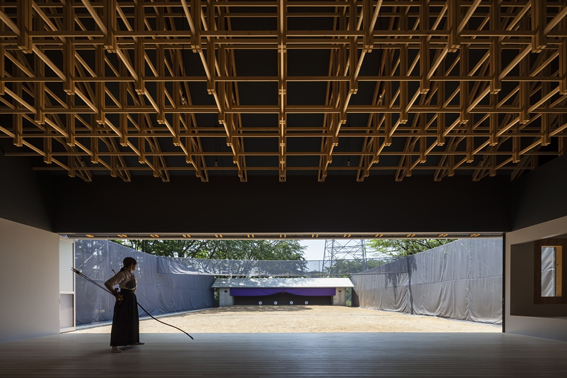 However, due to the scale of the space and simplicity of construction, the execution had to be meticulous, in order to produce spaces that are out of the ordinary. 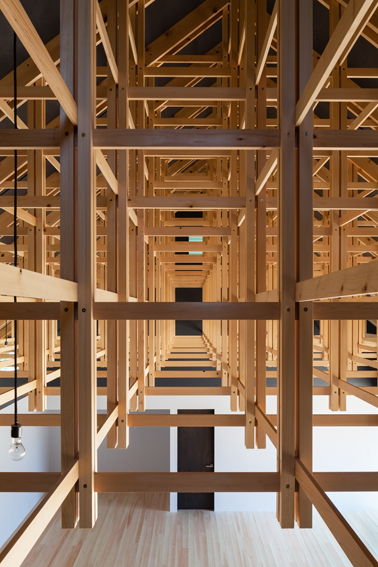 For each building, the main subject is the 7.2m x 10.8m space and the timber structure, merely its backdrop. The powerful presence of the timber structure emphasises the stark transparency of the void below. The whole is only achieved by the juxtaposition of these two contrasting and complementing qualities. Departing from the same starting point, the two buildings have arrived at a shared architectural theme via two different structural and spatial solutions.